New Delhi: All Delhi government hospitals, dispensaries and other health care facilities have been directed to carry on their notice boards and websites the statutory rules for biomedical waste management. A circular in this regard was issued recently by the Directorate General of Health Services. “As per direction of the Health Minister, the Awareness Generation for Biomedical Waste Management Rules 2016 is to be displayed in all Delhi government hospital websites and notice boards of Delhi government hospitals/dispensaries of DGHS and all health care facilities in Delhi,” the circular reads. 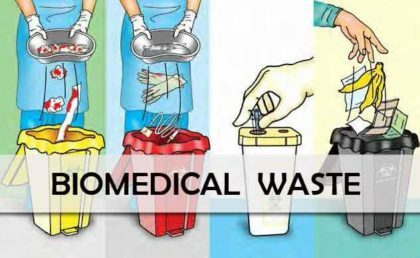 Biomedical waste comprises human and animal anatomical waste, treatment apparatus like needles, syringes and other materials used in health care facilities in the process of treatment and research. This waste is generated during diagnosis, treatment or immunisation in hospitals, nursing homes, pathological laboratories, blood bank, among others. Scientific disposal of such waste through segregation, collection and treatment in an environmentally sound manner minimises the adverse impact on the people, including patients and health workers and on the environment. The hospitals are required to put in place the mechanisms for effective disposal either directly or through common biomedical waste treatment and disposal facilities. The Delhi government runs 36 hospitals, with Lok Nayak Jaiprakash (LNJP) Hospital being the biggest. Other hospitals run under the city government include G B Pant Hospital, LBS Hospital and GTB Hospital.